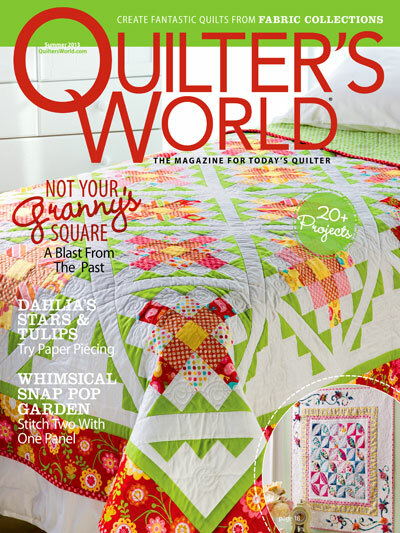 Hello Friends, the winner of my Annie’s Machine Quilting Class of Choice Giveaway is: Gloria Cotten! An email is sent to you to inform you someone at Annie’s will be in touch! I really wish I could give each of you a free class, but that’s out of my hands. :( Thank you to all of you for entering the giveaway. You know where to find me should you have a free-motion-quilting question you have while you are attempting to quilt your own quilts. I hope this offer will be advantageous to you! Again, here are my 5 domestic machine quilting classes offered with Annie’s. #1. 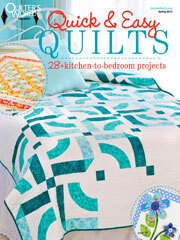 Learn to Machine Quilt – click here for more information. #2. 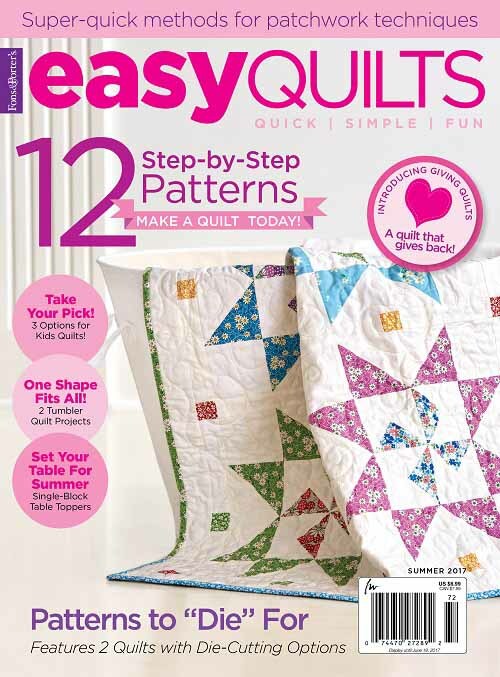 Machine Quilting Level 2 – click here for more information. #3. 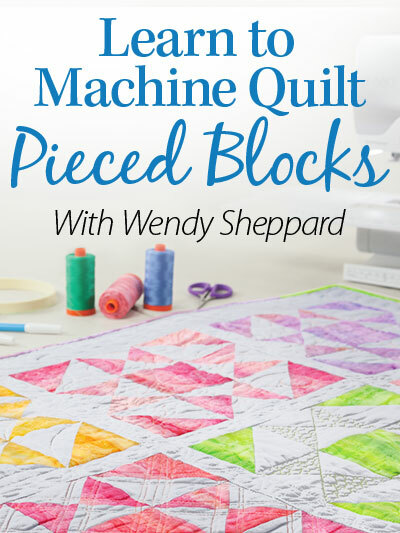 Learn to Machine Quilt Pieced Blocks – click here for more information. #4. 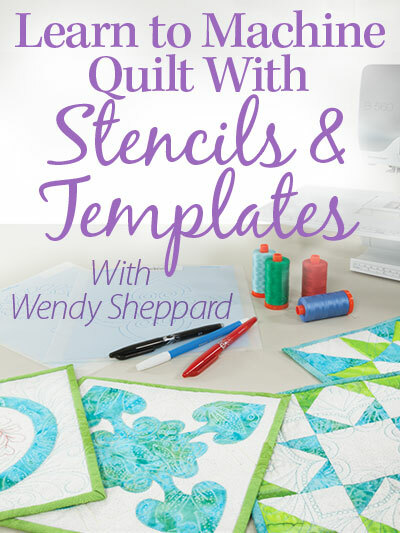 Learn to Machine Quilt With Stencils & Templates – click here for more information. #5. 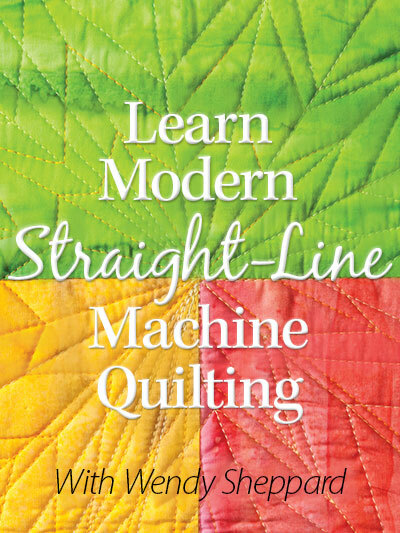 Learn Modern Straight Line Machine Quilting – click here for more information. And I will be back soon with details about my domestic machine quilting book, due out in March 2017! Meanwhile, if you haven’t tried using Aurifil’s Mako 50 wt to machine quilt, I highly recommend it!! It took me two or three stops at the Aurifil booth at Fall Market to “meet myself”. :) They had a wall display with quilters’ thoughts on their threads. I was surprised to find a quote from me!!!! This entry was posted in Quilting and tagged Annie's Machine Quilting Classes, Domestic Machine Quilting, Free-motion quilting, Wendy Sheppard Designs. Bookmark the permalink. Nice photo and quote Wendy! Thanks, instead of viewing classes online, I purchased your DVD version of Machine Quilting Level 2, can’t wait to receive it. I know, no discount for DVD, still I prefer DVD though. Aurifil saw me coming in Houston. I got a bunch of new thread. Just call me a thread junky! Congratulations Gloria! You will enjoy your prize. 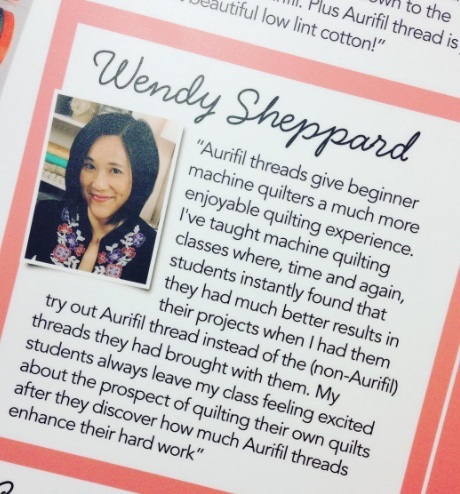 My credit card would have been smoking if I would have gotten to the Aurifil booth… divine!